**I am truncating this post due to the large amount of pictures. Please read on to see more! Well, I have to say the last three days have been both very busy and full of interesting adventures (to say the very least). 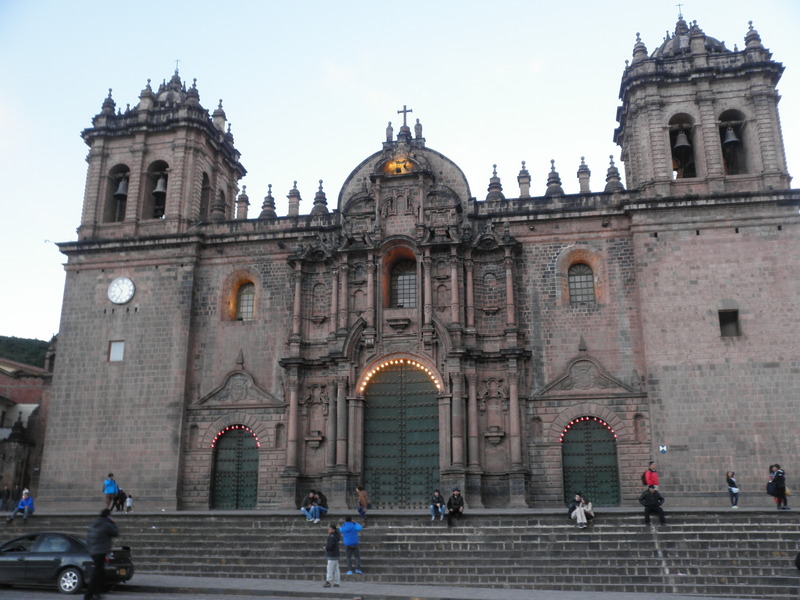 On Sunday evening, we walked around Cusco a bit, mostly in the Plaza de Armas area, then went to dinner at a local restaurant. I don’t remember the name of it, seeing as when we arrived I started to get rather and quite suddenly nauseous. It was a three-course meal, and I ate very little of it at all (as in 3 spoonfuls of the soup). We then walked back to the house we are staying in. As we walked, I got more and more nauseous. 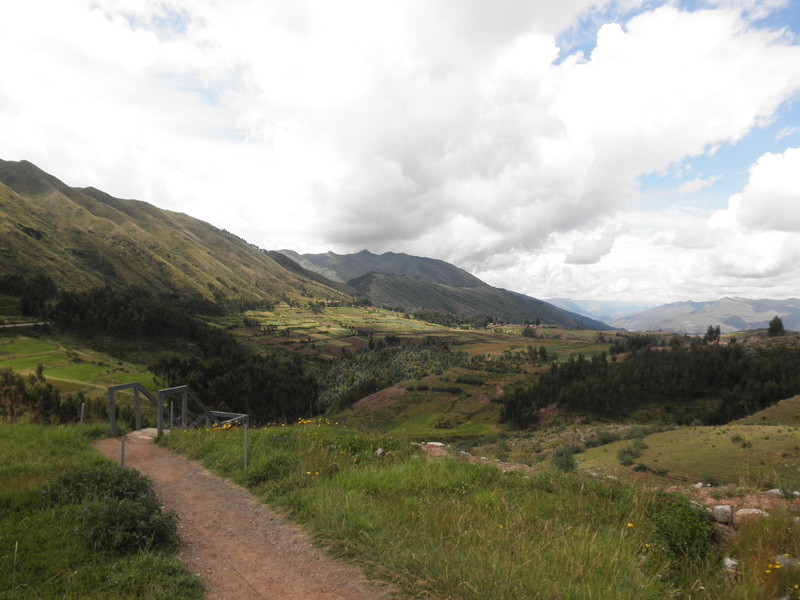 There is a fairly short but very steep hill up to the house we are staying in, and the climb combined with the altitude caused me to get sick right outside the house. 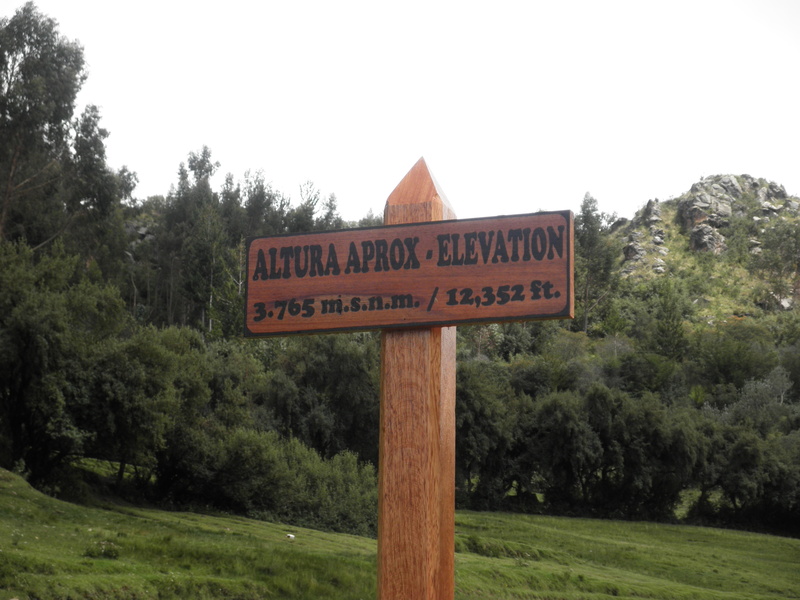 I’m not sure if it was altitude sickness or something else, but I definitely did not feel well at all. I then went to sleep right away. Monday was a very interesting, full day. 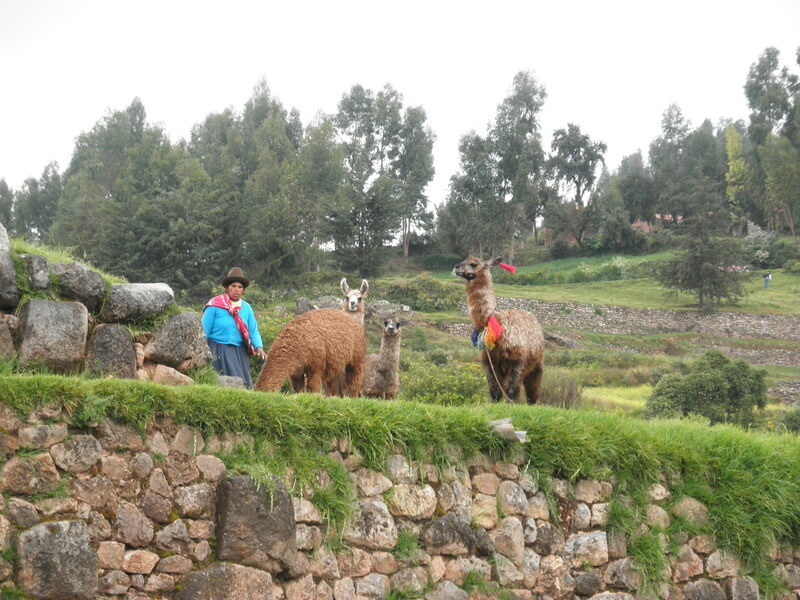 We got up and ate breakfast made for us at the house we are staying at (eggs and bread and such), then headed out to Saqsaywaman, an Incan site, by bus. 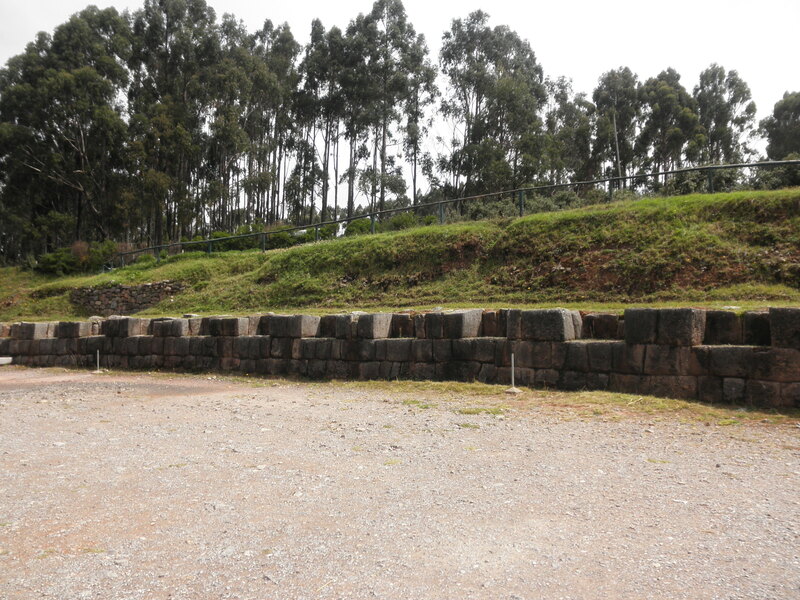 It is a large circular site that originally had a temple. We walked through a very narrow and completely dark tunnel in the rocks to a large circle that had once been a lake. Ruins of several other temples still exist. 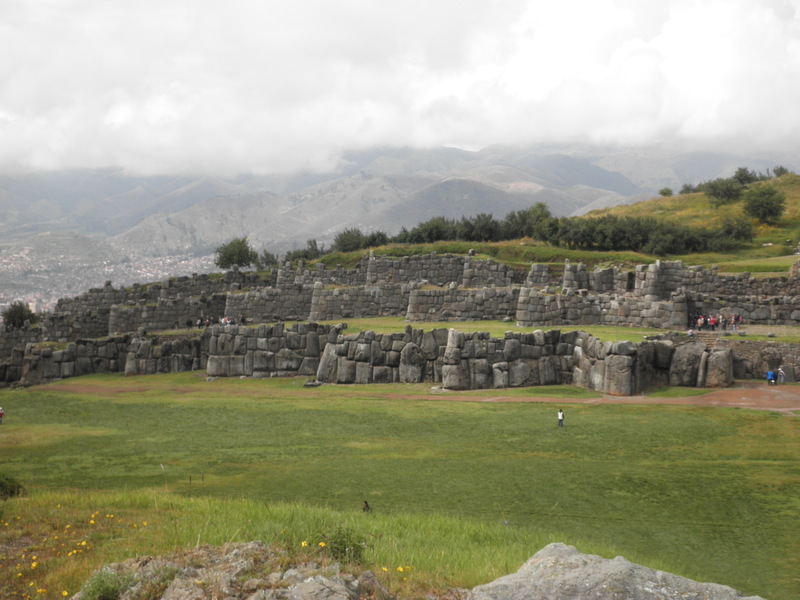 These temples were made with huge rocks that were perfectly cut and fit together without mortar. 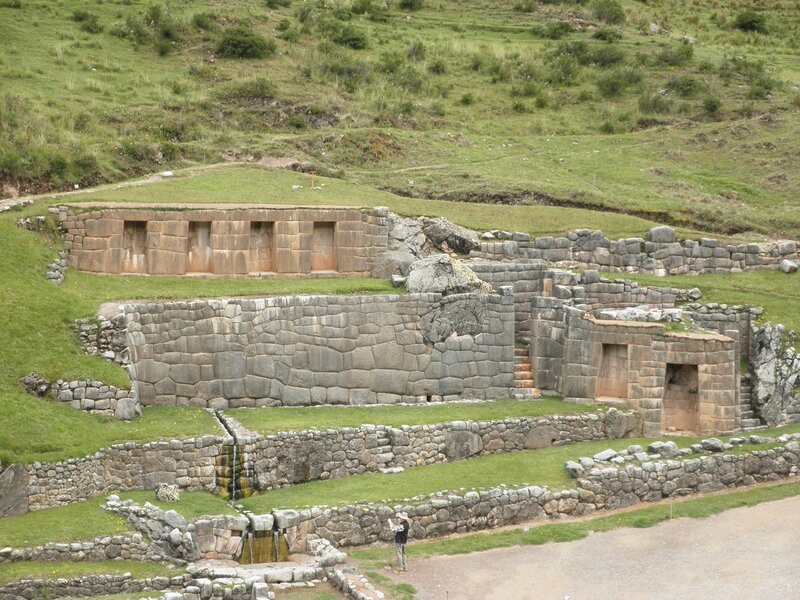 Both how they Incas got them to the site and the precision with which they fit them together is astonishing. 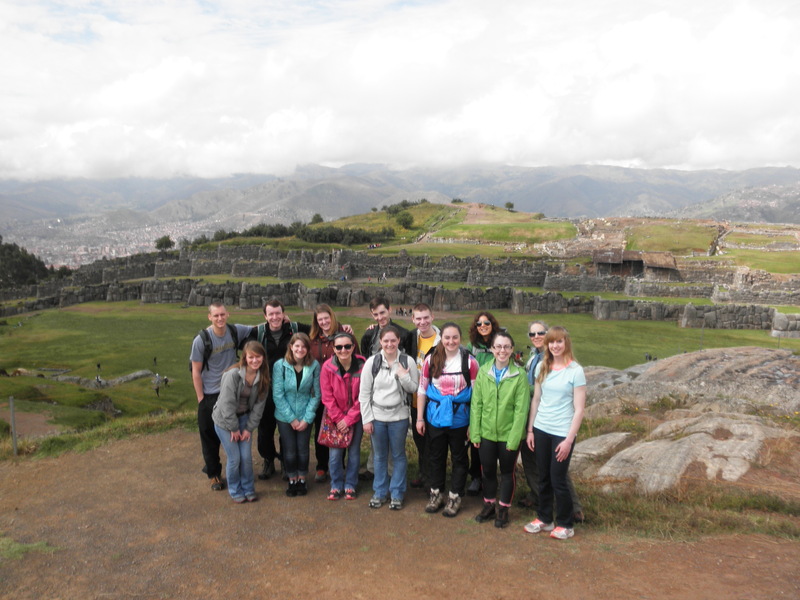 We then headed to Q’enqo, another Inca site. Here, there were many rock formations, including one on top whose shadow creates an image of a puma during the winter solstice (June 21st) and a pirate puna during the summer solstice (September 22nd). 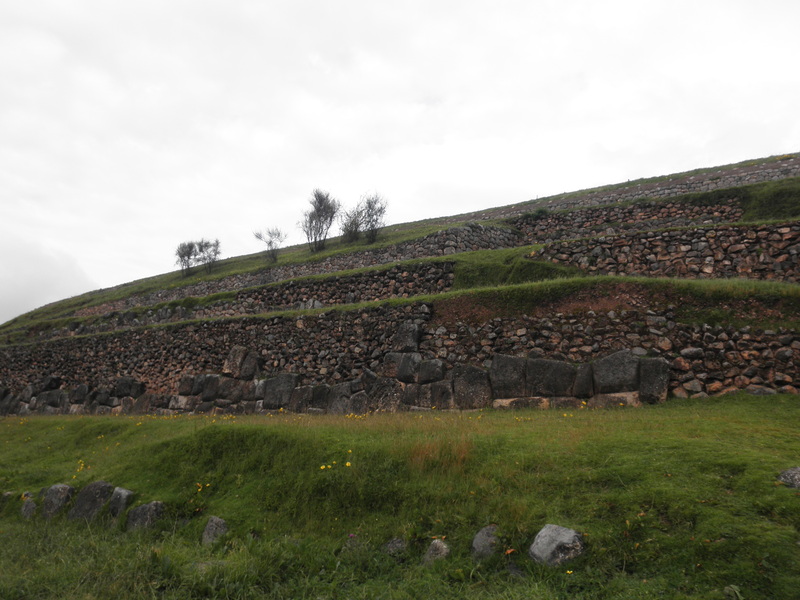 There was also a larger tunnel beneath where it is believed the Incas prepared the bodies of the dead kings for mummification. 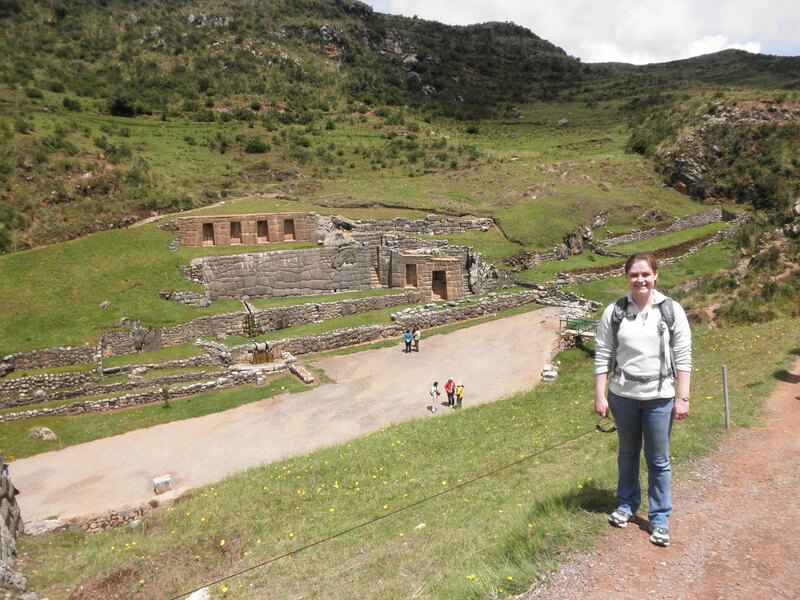 From there, we went on to Tambomachay, yet another Inca site. This site was rather well preserved. 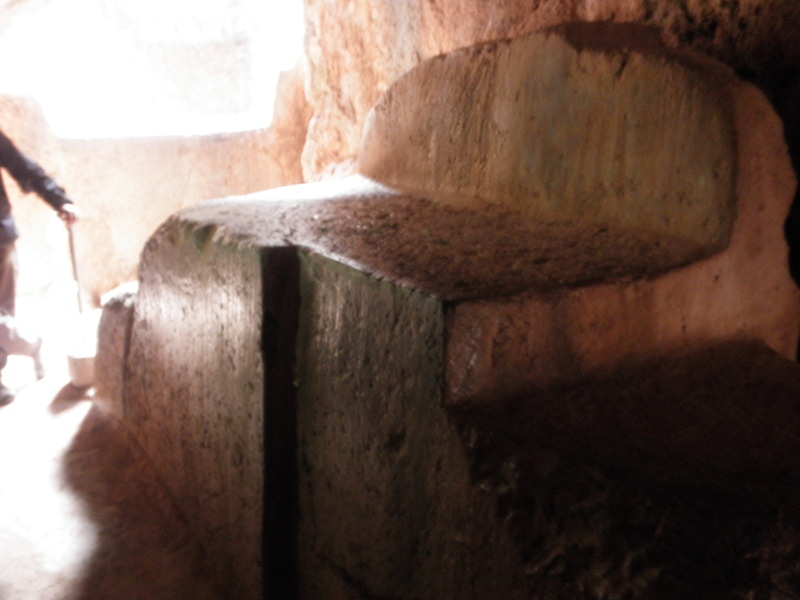 It contains a spring fountain which was sacred and held religious meaning. The king was the only one that was allowed to bathe in and drink the water, along with recently married couples wishing for many babies. 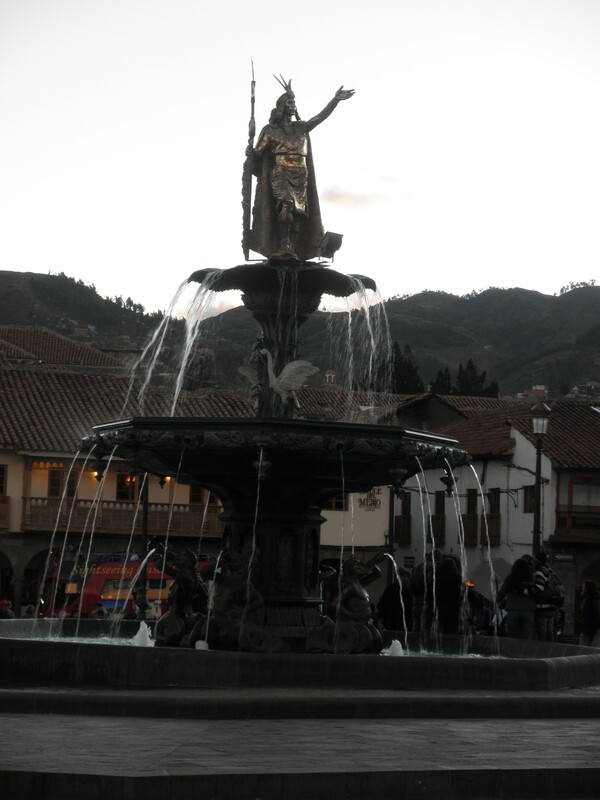 The fountain was considered to be a fountain of youth. The three tiers of the site represent the three stages of life: womb, life, and death. 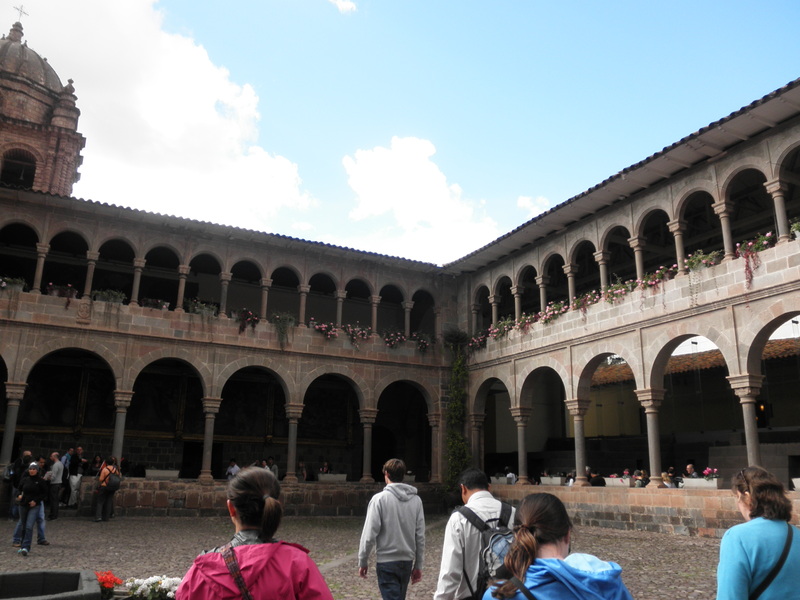 The four doorways represent the 4 powers of life: North, South, East, and West. There was also a tower in which a priest lived and functioned as an outlook tower. 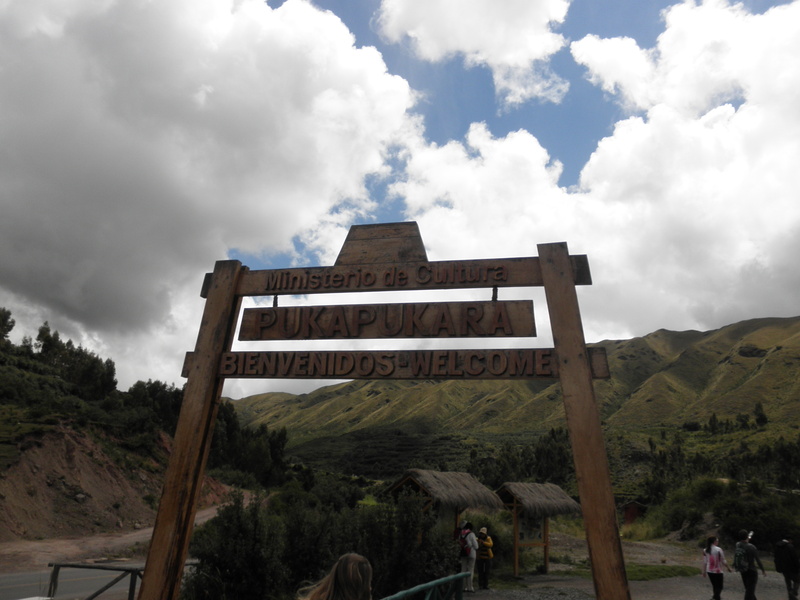 We then headed to Pukapukara, also an Inca site. 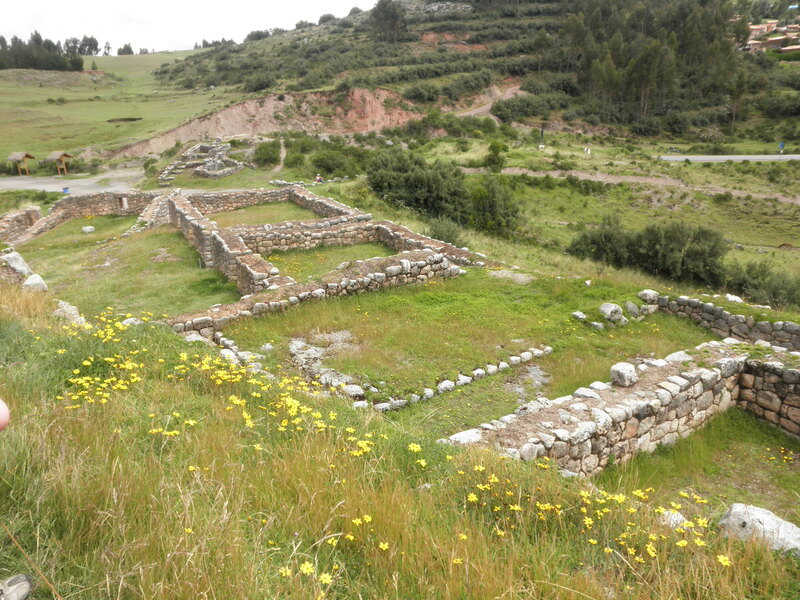 This site was built as a resting place for travelers as they went from Cusco to Machu Picchu. There were several rooms where people could stay. There were also some amazing views. We then headed to back to the house for lunch. 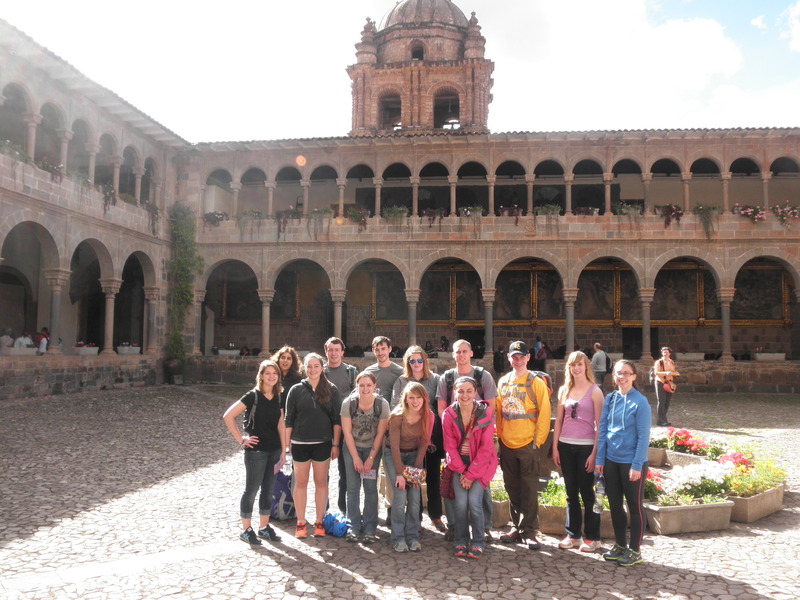 After lunch, we visited the Qorikancha, The Temple of the Sun. 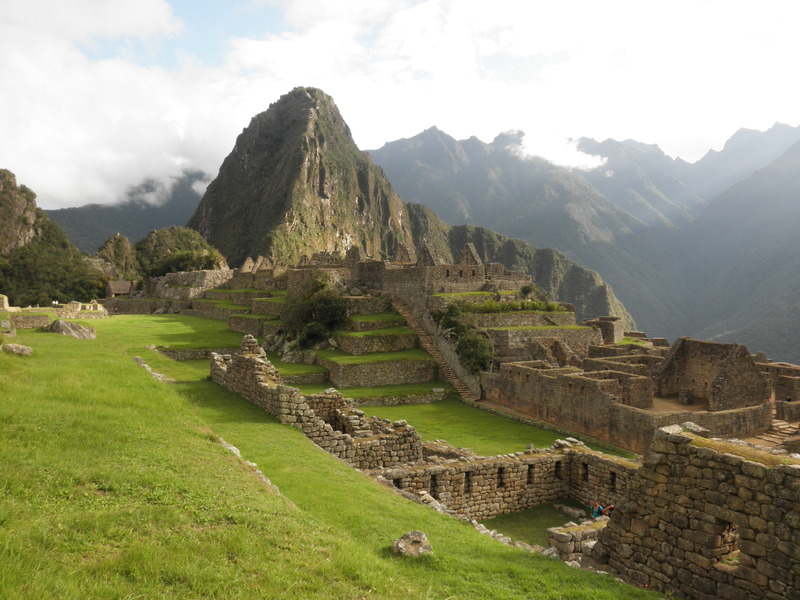 This was a very important Inca temple that the Spanish destroyed. 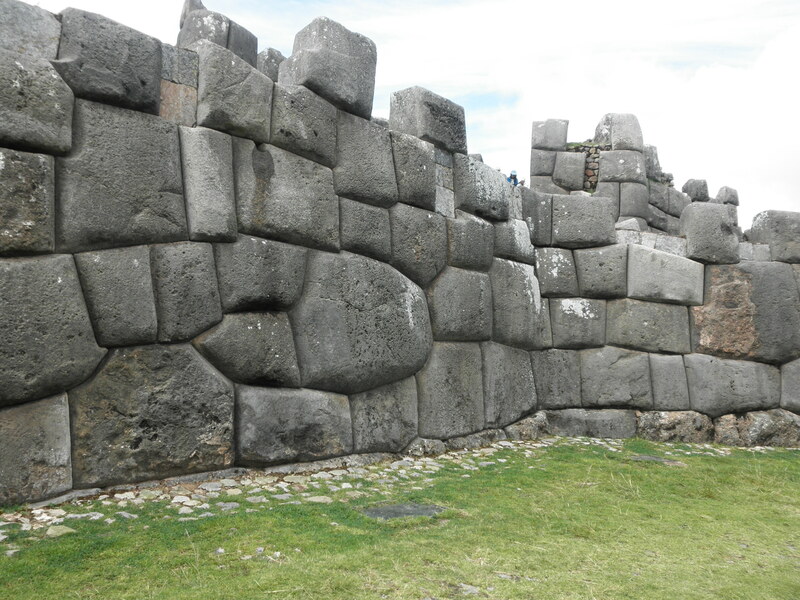 Because some of the Inca walls were so expertly built, the Spanish built on and around some of the walls. 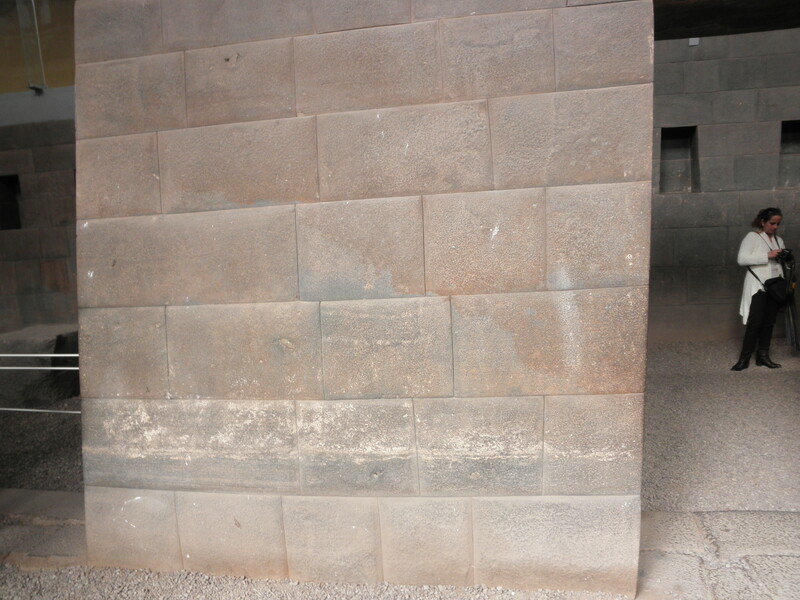 The corner of the original temple marked the summer solstice. 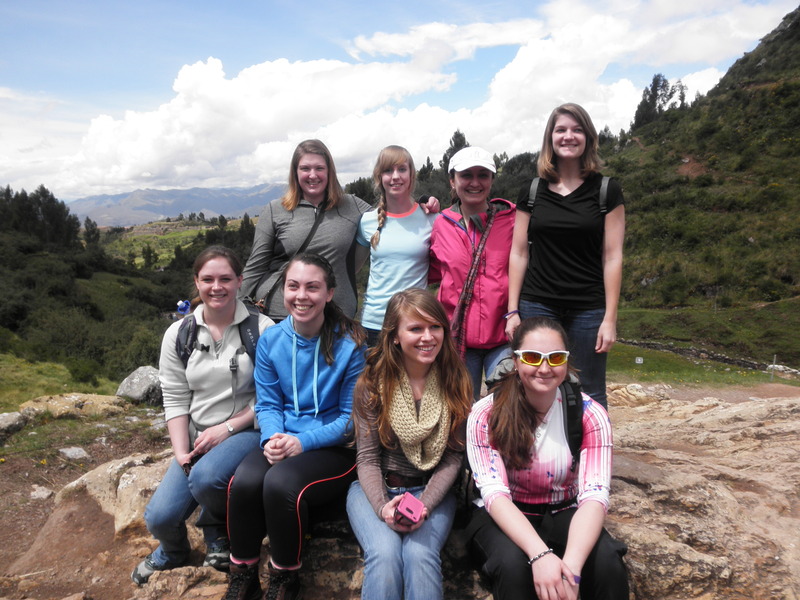 After this, we got caught in a torrential downpour, a rarity in Peru, especially this time of year. 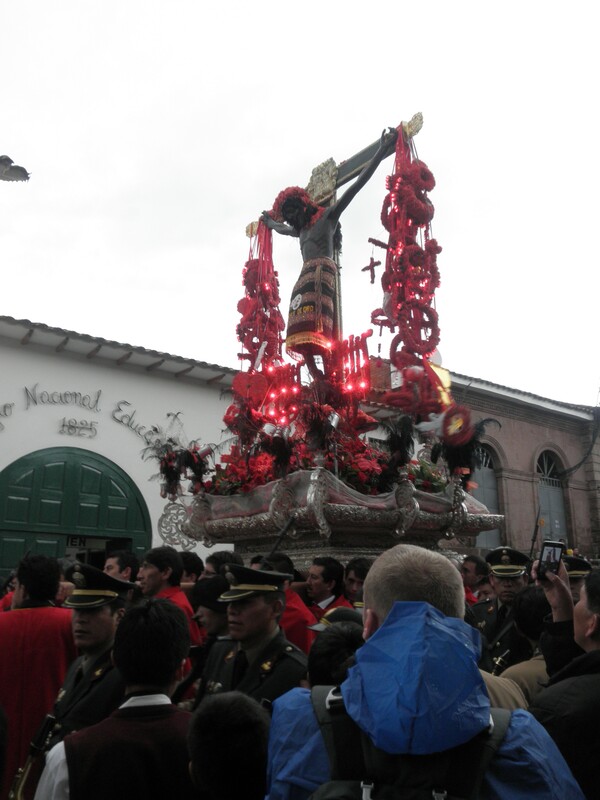 We waited it out in a bank, then headed to see the beginning of a very famous Cusco procession, that of Semana Santa. On the Monday before Easter, a large group of devotees bears a large statue of a black Jesus around the streets of Cusco. It was very crowded and one of the other students later discovered someone had slit her bag open with a knife. Luckily, only her glasses case was stolen. It was certainly an interesting experience. From there, we headed to dinner at Chez Maggy, a pizzeria and restaurant. 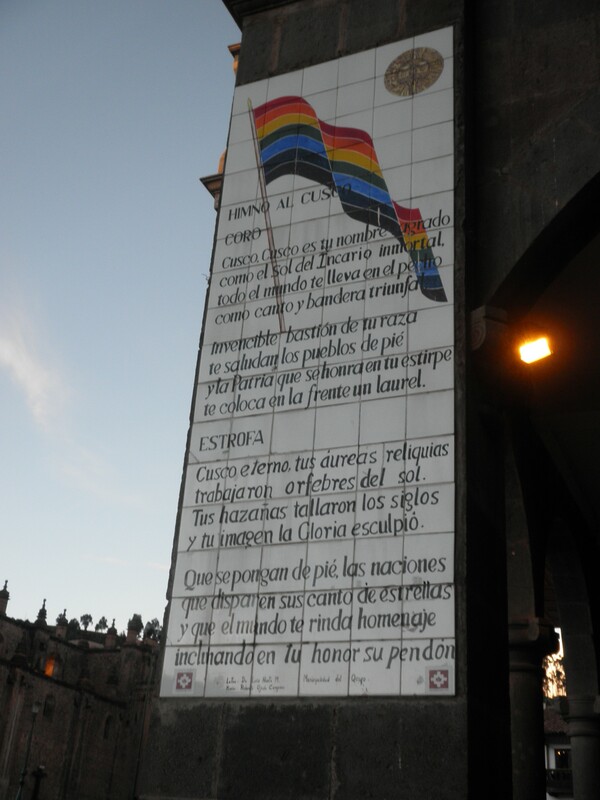 The Semana Santa procession was still going on when we left after dinner. Our guide had warned us that there would be over 100,000 people in the square as it approached 7:00 and that we should try to avoid the area. 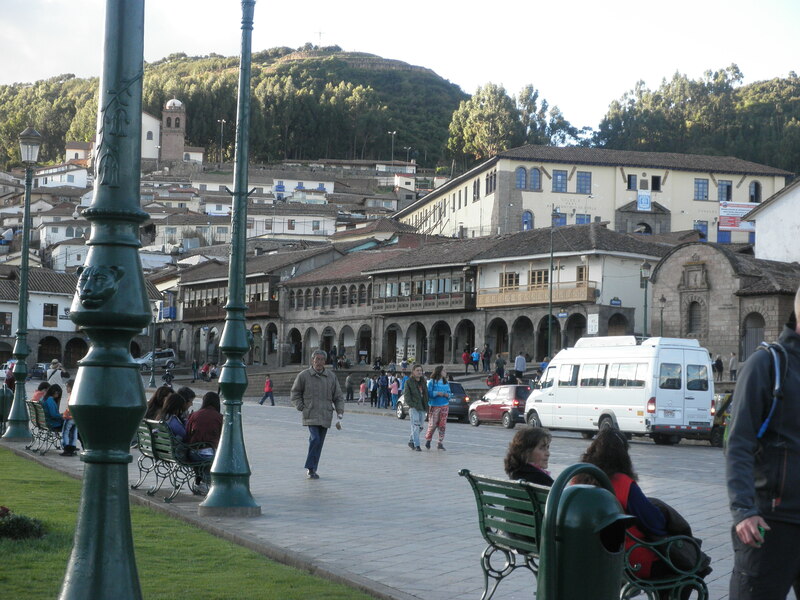 However, when we approached the square, the crowds seemed manageable, so we headed back to the house the same way we usually do. This was a huge mistake. Once we realized how many people there were crowded around us, it was too late to turn around. As such, we got stuck in a massive mob crowd, with people pushing against each other, mostly going the opposite direction as us. We were so packed in it was impossible to turn back or progress forward and there were people pressed up against us on every side. It got to the point where people started pushing and shoving. At some points, it felt as if we were actually getting suffocated because everyone was packed in so tight. In addition, there were pick-pocketers and it was difficult to all stay together. We mostly ended up getting separated. Some of the other students ended up in some somewhat unpleasant situations, but after over an hour and a half, we were freed. It was definitely a traumatic experience. I don’t think I have ever felt so scared that I was going to end up getting suffocated or trampled. It was truly insane. We basically ran back to the house because we all just wanted to escape the mobs of people. We stayed up writing our journals together, watching a movie, and talking about our varied experiences. It is definitely not an experience I will ever forget. 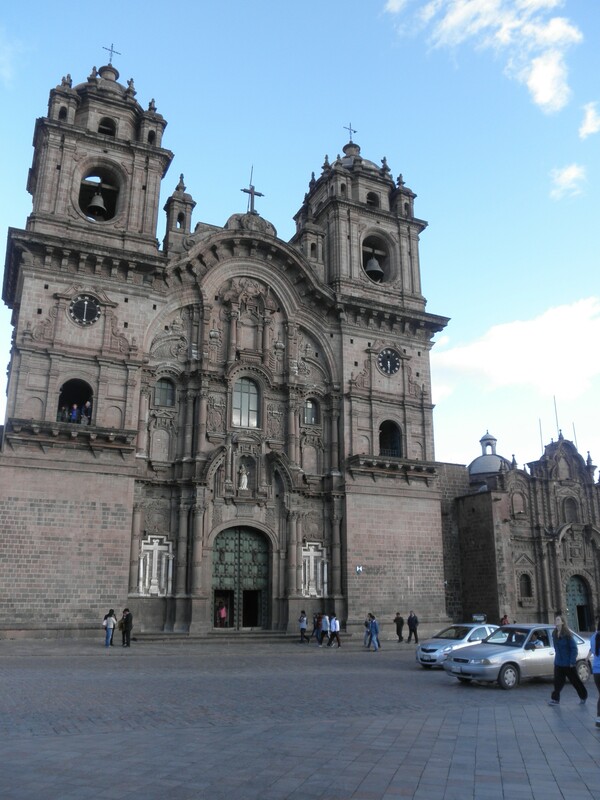 Previous Article We Have Arrived in Cusco!